Hubby and I don’t really celebrate Valentine’s Day. Last year he took me to a very nice restaurant for lunch, and this year we plan on going back to the same restaurant. Dinner on a Saturday night usually means crammed restaurants, that is doubly true on a holiday, so I am A-OK with lunch out! Ummmm yeah, you keep thinkin’ that buddy. Anyhooooo since I am not candy proud, Hubby and I ate them (seeeee I shared!). They were surprisingly good, but I know that is my gift for this Valentine’s Day: a discounted box of Russell Stover chocolates that we already consumed. Methinks Hubby is getting flowers and gourmet chocolates. 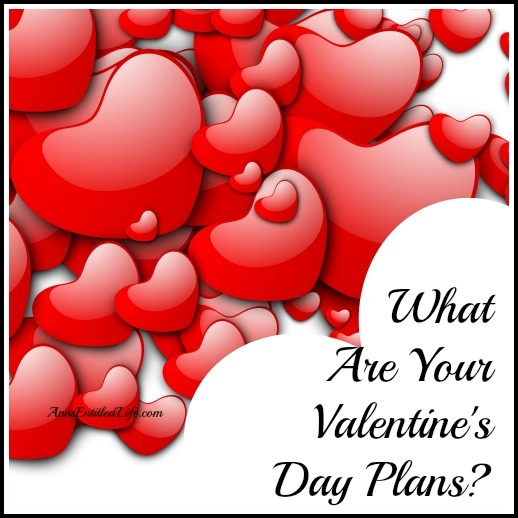 • For Valentine’s day dinner ideas click here. • For more Crap My Hubby Says posts on Ann’s Entitled Life, click here.